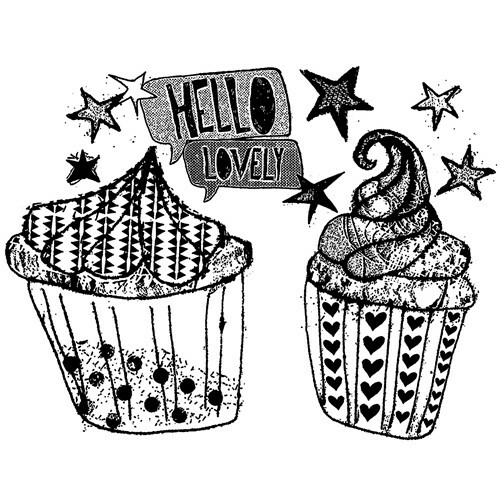 Designed by Alice Palace for Crafty Individuals, this unmounted Hello Cupcake stamp features two cupcakes with a speech bubble saying "Hello Lovely". Sized approx. 8.5 x 7cm. Requires mounting onto foam (not included) for use with an acrylic block.